Sprucing up your garden or outdoor space can be a great way to revive it and to enjoy using the area more. If you have a party or family gathering coming up in your calendar soon, then implementing a few of these simple and inexpensive touches to your garden could really make all the difference. We all want to enjoy our garden patios, lawns and so on, but if you are not fortunate enough to have access to your own garden space, then fear not. Many of these tips could be applied to window sills, walls and even desks. So let us now look at the ways in which you can create an inspiring and creative garden space today. Firstly, the lighting available in your garden space can be crucial. Make sure all the plants that need light are positioned in such a way as to have access to it. However, the natural light can only be helped to an extent if you are limited by space, trees or other obstacles such as neighbors houses for example. If the lighting in your garden does not seem ideal, then have you ever considered investing in some inexpensive and very attractive solar lights? For these models of lights you often need batteries, but you can also purchase ones which simply use the solar panel on their own. They work by charging up in the day when natural sunlight hits their surfaces, producing beautiful colored lights at night. These lights are great for parties, but I keep my own solar garden lights on all the time, throughout the year. Some have settings for simple and elegant white lighting, whilst you will find that others also have a multicolored changing functionality. This gives you more options and can really add a touch of character to a garden or outdoor space. As long as there is a vague amount of sunlight in the day time, your solar lights will work in the evening. Certainly, they will work nearer their optimum levels in the spring and summer months when there is more sunshine available. Therefore, now would be a great time of the year to purchase a set in terms of them reaching their peak lighting performance levels. 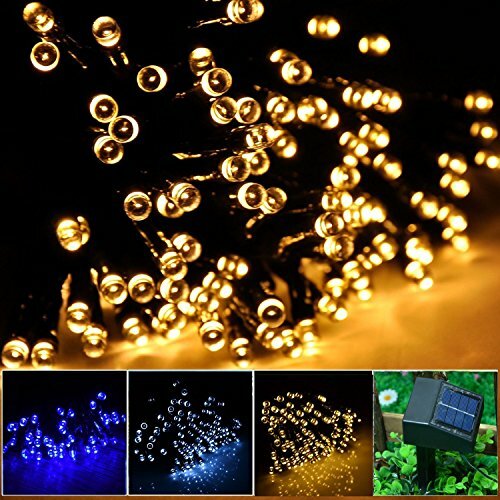 You can find solar lights available in many different forms. They range from ones which stick into the ground; to place in borders or around paths, to ones on strings with the lights hanging off them; to perhaps add to a table outside or even to attach to a fence. There are of course many other outdoor lights options available and worth exploring. However, in terms of ease of use and lowest energy consumption, solar lighting is certainly top of my garden lighting list. Some people like garden gnomes, others prefer sun dials, and there are some who have frogs or fairies, among a whole other range of garden ornaments. If you are looking to brighten up your garden in one simple and effortless move, then a little ornament could do just the trick for you. If you have never bought one before and you are worried about where to place it, then look in gardening magazines for inspiration as well as online. Also, start small with only one or two ornaments as this way your garden will not look over-cluttered. In addition, this way you will not get overwhelmed with organizing the layout of everything else in your gardening space. If you have a pond, then placing ornaments adjacent to it could make a very attractive garden feature of the area. If you have open lawns then a sun dial placed more centrally down a path could really make a grand statement. Even a bird box, bird bath or bird feeder could be classed as an ornamental feature within your garden. The key with garden ornaments is not to over-do it but to think small at first and assess your spaces visually before purchasing one. Another way to instantly brighten up your garden for this spring and summer, would be to re-paint your fences. You may have an old tin of paint lying around from when you painted a room in the house, but stop and make sure that your paint is suitable for use on wood first. You want it to be waterproof and to be long lasting after all. If you are feeling brave and creative, then why not try alternating planks of the wood in different colors. Spring and summer are the ideal months to do any D.I.Y jobs such as this as there should be less rainfall, more hours of sunlight, and consequently, better drying time for any painting work you may do. Again, take inspiration from gardening magazines and online if you are feeling unsure about the task. In addition, remember to check with your neighbors if any of your paintwork would affect their side of the fencing. This certainly relates to tip one regarding the quantity of natural light in your garden. If you are someone who suffers especially with a lack of light or space in your garden area, then mirrors can be a fantastic way to go. From using old CD discs strung up from trees on string which will glisten in the sunlight, to shards of a broken mirror glued onto plant pots, there are lots of ways to add light and reflections to your garden. Creating an illusion of extra space is always a welcome addition to any garden, and the dimensions that mirrors can provide is almost unrivaled. Explore antique shops, charity shops, markets and so on to find mirrors with character that are unique. This is a great way to ‘up-cycle’ or ‘recycle’ if you prefer, an old and neglected mirror, giving it a new lease of life and a home in your garden. Lastly, this is one of my favorite solutions for reinvigorating your garden spaces. Water features can not only look stunning and sophisticated in an outdoor space, they can also actually sound therapeutically relaxing to listen as well. As a bonus, they could even act to encourage and attract more wildlife such as frogs or hedgehogs to your garden too. Ponds are great as you may well know if you already have one, or if you have the funds and means available to build one. However, if you do not, then adding a smaller water feature such as the one below could be a great alternative. 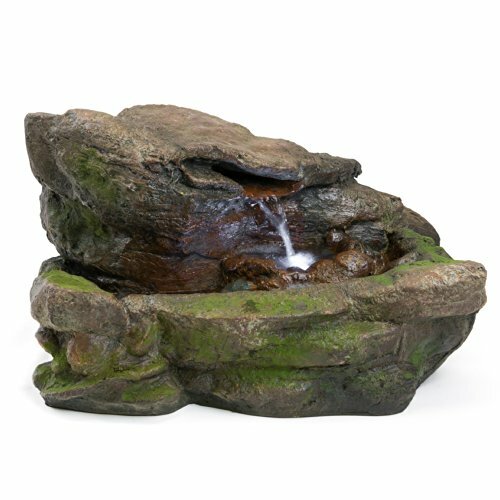 If you have limited space or perhaps do not have a garden or outdoor space available at all, then you could even purchase a desk water feature. These can look lovely and you would only have to plug them in and use electricity when you wanted to watch or listen to them. In a conservatory they would look great as well and could be a real talking point. In general terms for outdoor water features, assess your space visually, ask friends and family for their opinions too, and try to accurately measure the water feature against the space you have available. These days, so much emphasis is placed on home decor and design because having a garden is a real luxury for many. However, if you are fortunate to have one, then I hope that some of these simple and easy tips can provide you with a little bit of inspiration with spring and summer right around the corner.